My cousin out there told me of the impeding polar vortex coming. Scary temps. They’re in store for the lowest recorded high not including wind chill since they started recording temps: -12 F / -24.4 C.
That’s life threatening. Time to shut down the city. 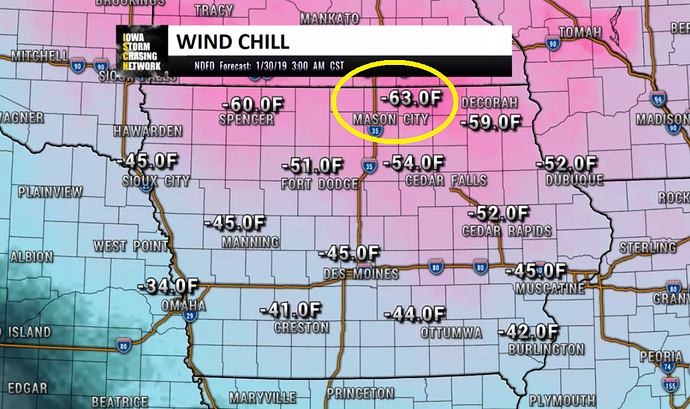 The Windy City and other areas in the upper Midwest are preparing for historic cold later this week, with some weather projections predicting around -45 to -60 wind chills. I saw pictures of train tracks in the area being on fire to prevent them from warping or breaking, that’s quite terrifying. I am in the region. It is certainly cold out here. Schools and businesses shut down for safety reasons. It got down to around -30f air temp and -65 windchill temp. The funny thing is that it will be almost 50 degrees by sunday, haha. Unbelievable! I can’t image it being that cold. I read about some parts even being colder than Antarctica, Alaska, and Siberia. Brrrrr. Extreme cold winds will make North American cities some of the coldest places in the world this week. 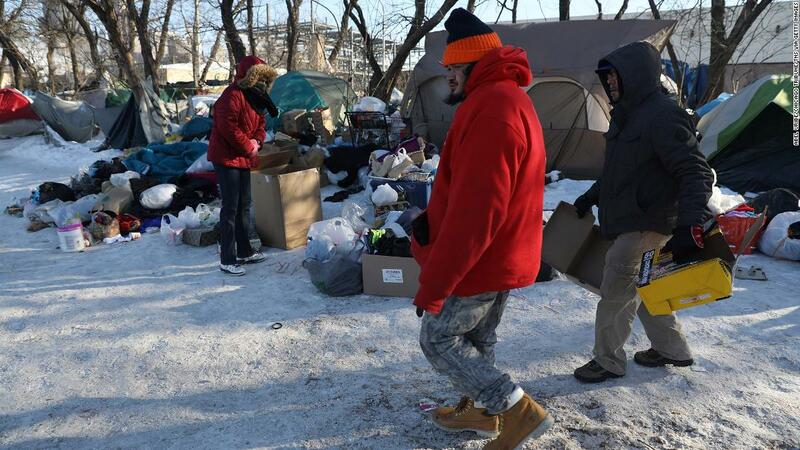 When a fire forced dozens of homeless people to leave their tents in Chicago's South Loop neighborhood, the local Salvation Army was ready to house them. Then a Good Samaritan stepped up. Where is Algore, when we need him? Oh, right, he’s in Australia. There may not have been a month of Sundays and the moon hasn’t turned blue, but hell has definitely frozen over. 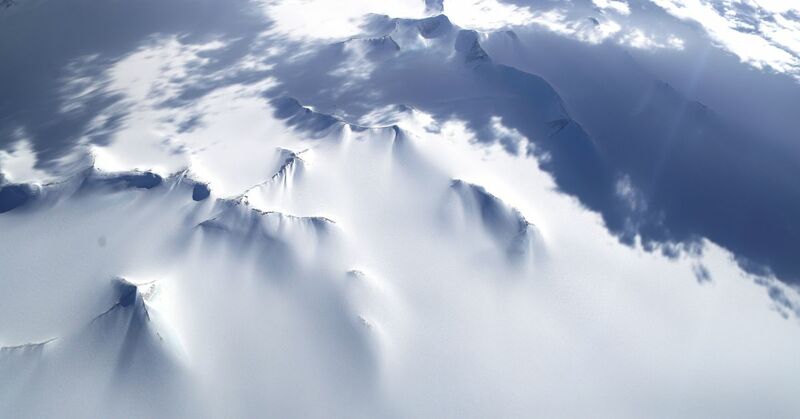 Hell hath no fury like – a polar vortex. Sorry. I couldn’t resist the puns. Kudos to the guys who get the power back on! Exactly. I am at home with 4 littles, my wife and I. In these temps, if power goes out it can get dangerous quickly. I keep a kerosene heater ready to go, as well as a nat gas heater, but still just barely enough BTU’s there to keep a little radius in the 60’s. 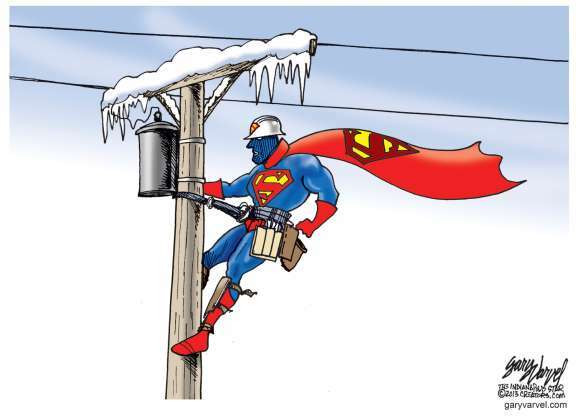 People who go out there in such temperature to fix utilities so others will have heating and water and light are truly real life superheroes. Buddy in Wisconsin is expecting a foot of snow this week and only a low of - 6 F on Friday. He said that’s doable. Lower than -10 F, it gets unbearable. I just laughed. I watched all of the reports on the news, couldn’t believe my eyes. What are these extreme temperatures, it’s like colder than Antarctica… They make discussions about global warming seem like fake news already. They make discussions about global warming seem like fake news already. Haha nice one @Clint. 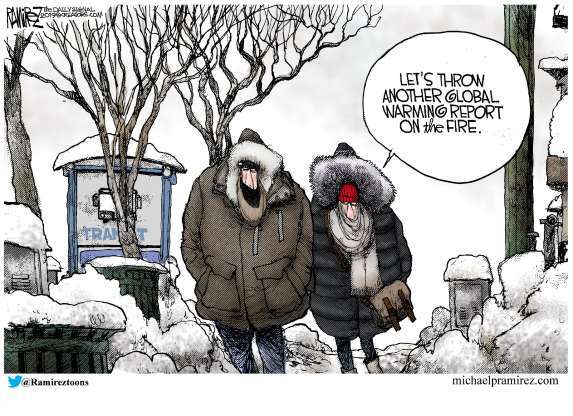 But on the other hand, according to this article it’s the global warming fault: This Is Why Global Warming Is Responsible For Freezing Temperatures Across The U.S.
Chicago is the major victim of freezing cold weather. The airports operations had been off due to worst slippery conditions. Trains are running on the fire spark but thankfully they are running. People are ill and the whole life has frozen. The situation is really devastating all around in Chicago. Stay warm!